The snippet below comes from fangirl Jenny who does the online-cooking thing over at Jennylearnstocook.com. In the video, Jenny puts a spin on our Chicken With Mushrooms recipe, and we're posting it because we get a HUGE SMILE when fans and friends have success with our recipes in their own kitchens. Also, we love to see the different ways people find to take our basic molds and make them their own. LOVE LOVE it! ...and, well, yes, I've fallen into the Julia Cliche. Not only have I seen the movie about 7 times (not exaggerating - I love me some Meryl) I've now resigned myself to reading this whole book...or as much as I can get through without losing complete interest like I did with "My Life In France". I hope I can read and retain at least some of the information in this book. It is chock full of good stuff, which is what I like about Julia in general. Anyway - I'm a Julia fan - and I get it now. I see why people loved her. Lady was funny. 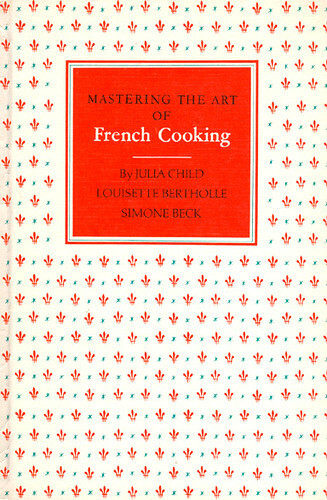 If you're interested in learned to cook, I suggest you go the cheap route and invest in some Julia DVDs. They're pretty great. Blog » CONGRATS to our winner! Congrats to our winner - Eric Jacobs! Eric just won a $25 gift certificate to Jamba Juice courtesy of Economy Bites & Snubbr.com! Stay tuned to Economy Bites for more contests and giveaways! We love to give you free stuff -KA CHING!! Blog » Jamba Juice Giveaway! Thanks to the kind folks over at Snubbr.com, we're giving away a free $25 Jamba Juice gift card. All you gotta do to enter is leave a comment telling us your favorite Jamba Juice Flavor (such as Mango-A-Go-Go), and we'll announce the winner after 1 week. If you haven't heard of Snubbr, they're a product recommendation site, powered by experts. Say you're looking for a gift card recommendation, all you gotta do is ask your question, and Snubbr will search the entire web for an expert to answer it for you. Check them out here. Welcome back to Economy Bites! We're using a lot of new, exciting ingredients in today's episode: olives, baked tomatoes and, are you ready for this, ANCHOVIES!! The pizza topping everyone loves to hate is about to make it's Economy Bites debut and we couldn't be more excited - check it! Episode 33 is our first jump into Indian food. My recipe for Chana Masala came from weeks of experimenting with this basic recipe. I tried it once verbatim...and it was just OK. 2nd time I played with the spices and it was better, but still not fabulous. 3rd time I added chicken broth and BAM - the wow factor! Just WAIT until you taste this! !